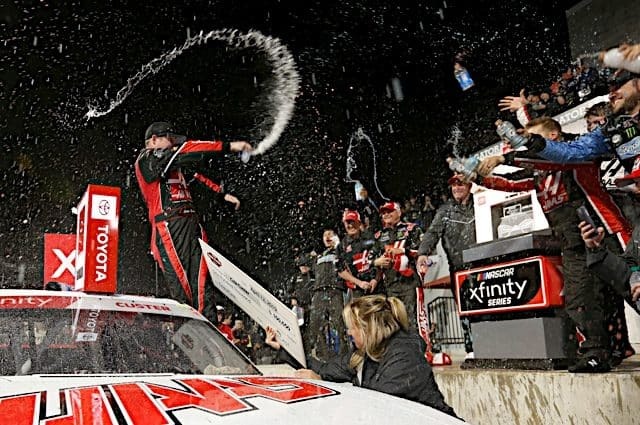 The NASCAR Sprint Cup Series is off this weekend and, for the second year in a row, the Truck Series is headed to Eldora Speedway for the only NASCAR national touring series race on dirt. Last year there were many lessons learned and this year will certainly hold more. 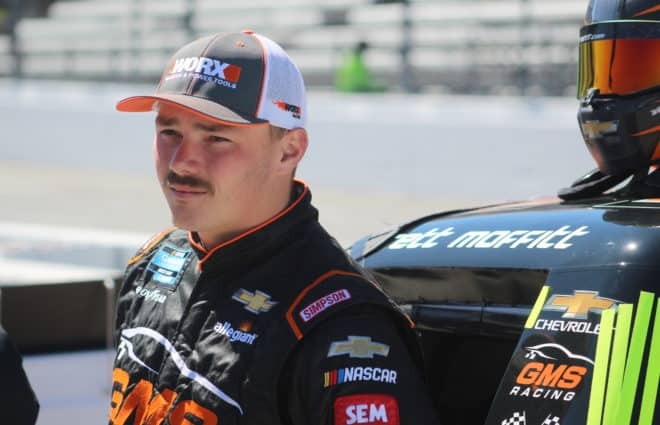 In an effort to understand some of them, Tech Talk visits this week with Doug Randolph, the crew chief for Tyler Reddick this coming week at the Mudsummer Classic. 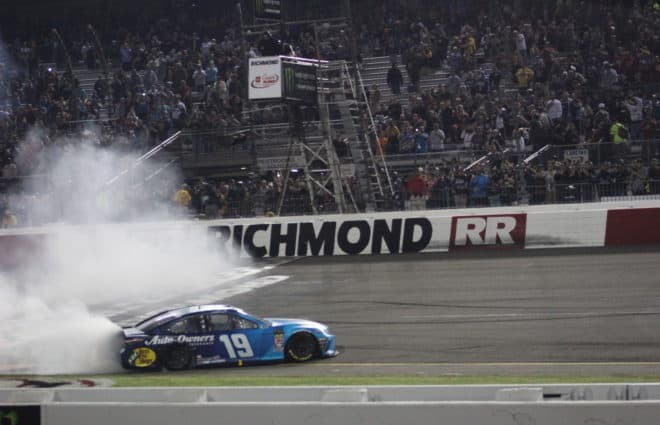 Randolph has been around the national touring level of NASCAR since climbing atop the pit box for Dave Blaney at Bill Davis Racing in 2001. 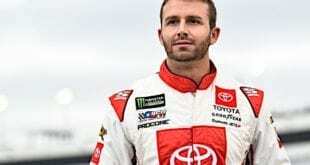 He’s since turned wrenches for over 20 different drivers in the top three series of NASCAR. 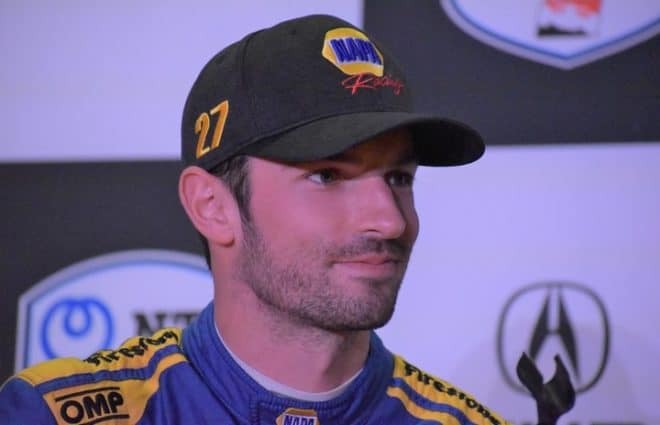 Randolph’s racing resume is long and distinguished and he has set cars up for a myriad of different racing challenges. This is only the second time he’s had to set one up to compete on a dirt oval. 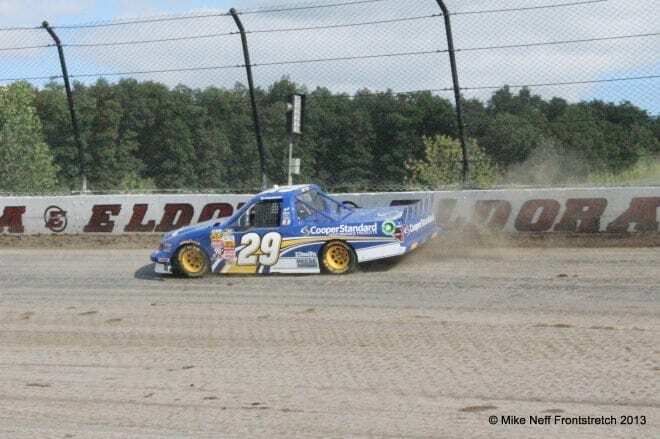 Randolph looks at Truck arms, keeping the radiator clean to avoid overheating, windshield tear-offs and transmissions among other things as the series gets ready to head to Eldora next Wednesday. Mike Neff: You’re coming away from the beautiful state of Iowa. While you didn’t come home with the win you did have a solid 10th-place result. How did you feel your weekend in Iowa turned out? Doug Randolph: I think it was a solid day for us, all of the way around, for Tyler and for the race team. We didn’t quite qualify where we’d hope and it is a very track position critical race where it is very tough to pass. Tyler did a good job all night, ran some very fast laps, passed a lot of people and didn’t have any problems on pit road. He did a great job getting in and out of the box and the guys did a good job on the pit stops. We felt like if we could have picked our truck up and put us in fifth we could have easily finished there. At the end of the race we had a set of lucky tires and we were really hoping for a caution to come out. I think we could have really taken advantage of that because of how few trucks were left on the lead lap. The caution just never fell our way. It was a solid effort on everybody’s behalf and, when you are working with a young driver like Tyler, it is all about building confidence and that race was a step in the right direction. 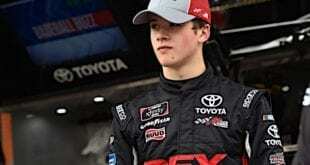 Neff: Looking up and down the race results any week in the Truck Series there are only two Fords out there: the two from Brad Keselowski Racing. How much more difficult does it make your effort to succeed in this series considering there is only one other team to bounce ideas off of? Randolph: Well, it definitely makes a difference. The Toyotas do a really good job as a group collaborating. We obviously have our teammates and I feel like we do a good job of working with each other. There is definitely something to be said about groups working in numbers. It is really something we can’t focus on. We just have to take care of our own business and I feel like our company and our team is capable of winning every week and is for sure a top 5 team every week. We just need a couple of things to go our way. The couple of races we’ve had Cup drivers in the 19, we were just needing a late caution to get right into the middle of it with the strategy things we’d tried. We have never quite gotten that break. I felt like this week, with Tyler, with new tires we were going to line up in eighth or ninth and have a real shot at making a difference. Having one teammate to work with is important and it is way better than being on an island. We’re just focusing on our own program and making it the best we can. Neff: You spoke of having Cup guys in the No. 19 a couple of times this year. From an evaluation standpoint, for both your equipment and your team, how beneficial is it to have someone from the top level come down and spend a weekend with you guys? Randolph: It is hugely important. We can get a truly honest evaluation of where we stack up. I really feel like, especially when Brad [Keselowski] and Joey [Logano] drive, their comments are that they can pass anybody out there besides the 51 when Kyle Busch is in it. They want us to go to work on that and figure out a way to beat him and that is our focus. It really helps to get those guys in there. Not only do you get a standing of where you stack up against the competition but those guys are really good at telling us where they are beating us and that gives us a direction as to where we need to focus. Neff: The reason we have you on Tech Talk this week is that we are getting ready to go to Eldora for the Truck race, which is obviously a dirt track. You have Tyler in the seat, who is a dirt track racer at heart. He scored a win at Highland Speedway on the Hell Tour at the beginning of July so we know he can wheel a full bodied car on dirt. Does that give you an added feeling of confidence heading to Eldora knowing you have somebody in the seat who can win on a dirt track? 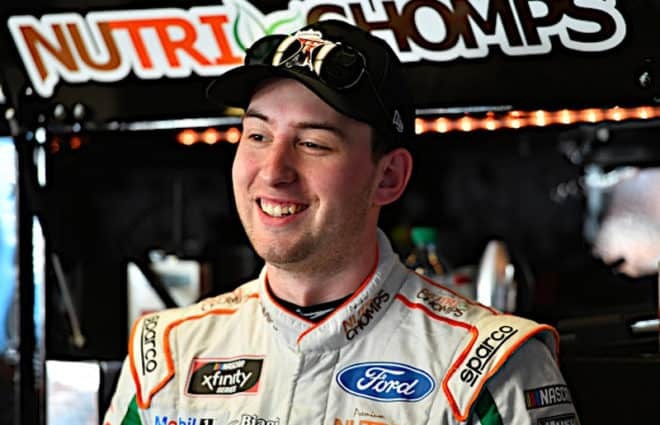 18-year old Tyler Reddick will be making his eighth career NASCAR next week at Eldora, and seventh this year in Brad Keselowski’s No. 19 Ford crew chiefed by Doug Randolph. Randolph: Oh yeah, that gives you a lot of confidence and he has a lot of confidence but it is a tough thing too. His background is all Dirt Late Models and that is why we’re going to go up to Wytheville Speedway and test. You’re asking a guy to go out and play tennis with a golf club running these trucks on dirt. They are not designed to run on dirt so a lot of his experience with the Late Models is not applicable. Understanding dirt and how the race track changes and how to react to it he does know. I definitely think it is an advantage going in. It will help us make the right adjustments knowing what the track is going to do, being familiar with that race track and how it reacts to time and rubber and weather. Neff: Last year, the first year of the Truck Series at Eldora, Kyle Busch put Scott Bloomquist in the seat to try and take advantage of his considerable experience on dirt. You could tell by watching it they tried really hard to mimic the setup of his Super Dirt Late Models and they were absolute junk all night. With the configuration of these trucks and the fact they use truck arms, why does it require you to approach things so much differently than you do with a Dirt Super Late Model? Randolph: A huge part of it is the tires. If you look at the tires that we run they are very, very small, even compared to what we run on asphalt. There isn’t a lot of grip there. A huge part of it is also how the race track changes and how Tony groomed that track for our vehicles to run. We don’t have the ability, with windshields and all, to be able to see with a muddy track. With radiators and all of that, the way our vehicles are equipped, it needs to be a dry, rubbered-up track. Tony did a good job of giving us that to race on, but it isn’t what those dirt Late Model guys are used to racing on. The challenge for us is understanding when the race track has some moisture in it, what things our truck responds to and understanding, when it is dried out, what it responds to and being able to make those changes as the day goes along and trying to keep up with the race track as it changes. Neff: The way the radiator openings are configured on the trucks is a little different from what most dirt vehicles run. What do you have to do to keep that thing open, especially when you are running behind other trucks? Randolph: There are two or three things and part of it is the changes from last year to this year. We do a lot with the outerwear and shaker screens to make sure we can keep that radiator clean. Last year we had a pretty open book as to where we could have that air inlet opening. We had some under the front bumper, on the down facing surface of the front bumper and we had some above the front bumper. We had a lot of different surfaces where we could draw that air from and that one surface, that was downward facing was pretty good about staying away from the debris. This year, with the new style truck we are running, they have dictated exactly where and what size opening we can run and it is probably in the most vulnerable spot it could be for that dirt and debris coming up. It is going to be interesting for all of us this year trying to run the outerwear and what size screen to run to make sure we can get enough air through the radiator without having issues with the mud and dirt and dust getting in there. Neff: In your experience from last year, did the trucks work better with the right front being stiffer or being softer? Randolph: I think that is a big part of the track conditions. When the track had some moisture in it, you wanted to have a lot of force on your right side tires and they would really dig in and I would call it more of the dirt racing, Late Model setup. When the track dried out and rubbered up it was like running a very worn out asphalt track where you didn’t have any grip. Some of those things you were doing when the track was moist you instantly started trying to undo them and trying to get rear grip as the track dried out. Neff: During the race are there asjustments you can make to stiffen up the right front? Randolph: No, there isn’t anything that we can really do to stiffen it up or change the roll. Obviously we can change rear stagger and wedge and track bar and track bar rake but as far as making the right front stiffer or not you’re sort of locked into that when you start the race. So you’re trying to predict what the conditions will be in the middle or late in the race. You put that in and you hope you are correct. Neff: Eldora is obviously a smaller track than you run most anywhere else. At the top end of the transmission do you have near the ratio you do at even Martinsville? Randolph: Yeah, those ratios are all about the same. The final driver gear is obviously a little different and we change that with the third member of the rear end. The rules dictate you have to run one of two or three gears there for the final drive. So from the transmission standpoint all of that is pretty much the same. They only use the gears when they are coming through pits and on restarts. Other than that it is just in final driver. Neff: You mentioned you have windshields and not metal screens in front of the drivers. How many tear-offs are you planning to have on for that night? Randolph: We’ll have several. The way they changed the rules this year, last year at the breaks, we ran 60, 50 and 40, and they had a break between each of those and everyone had to come down pit road. When you did that was when you pulled your tear-offs. This year you have the option to pit or not and you don’t lose your track position if you stay out. We’ll have a lot of tear-offs there but the strategy and tires will dictate how many times you pit and that will dictate when you pull tear-offs and that is the issue. A lot of those dirt guys from Sprint Cars to Late Models have tear-offs on their helmets and everything else but we don’t have that ability with the windshield tear-off. You are limited to either pitting when it isn’t the competition yellow or the break when the yellow is out and taking care of it. If the track gets muddy and that thing gets dirty that might actually dictate what strategy you have. Highway to Hell: No stranger to dirt track racing, Tyler Reddick is seen here following his win at Highland Speedway in the Hell Tour as part of the DIRTcar Summer Nationals. Neff: We still deal with truck arm technology in these trucks. That is probably part of why Scott Bloomquist had his issues because he was trying to do a Late Model configuration in more of a Street Stock configuration. How much leeway do you have as far as the split between the truck arms and the configuration of the left side versus the right side? Randolph: The whole point of the truck arm, originally a Chevrolet truck arm, is they are very long. We have holes that we can raise and lower the pivot point of the truck arm and change the split between the arm on the left side and the right side. It does react a little bit. The length of the truck arm is dictated by the rules and because they are so long, when you compare them to a three link suspension and especially a dirt car, most dirt car suspensions are really short. They can change the angles and really get some reaction out of the car. There isn’t a whole lot,with the length of our truck arms, that we can do. We can raise and lower them four to five inches in the front but the reaction that gives a vehicle is probably 10 percent of what a dirt guy can do. It inherently makes it a pretty static situation as you go around the track. Obviously all of the dirt cars are trying to design theirs around a very dynamic situation. As they go in the corner the car rolls over, the rear end steers and there is all sorts of things going on. With our rule limitations it is very difficult to pull any of that off. Neff: You talk about rear end steer. What are the limitations, as far as the rear end angle and how much further forward or back you can have one rear tire versus the other? Randolph: We have a rear end skew rule. It is, if the rear end housing is pointing straight, how much can each tire point in or out. That lines up about a quarter of an inch and, then with the truck arms, you have the ability to move it a little more. Then with the truck arm split and the track bar rake you can control that and get it to skew a little bit more during the dynamic movement of the rear suspension. There are three or four ways you can do it: You can do it statically, you can do it dynamically, you can do it both. Like I said, it really showed up to us that, when you had a moist track you wanted all that you could get. As it dried out you wanted less and less and less. It is important to predict what the track will do and obviously we all have knowledge of what it did last year. It is easy to say it will do exactly that but we might get there this year and have the weather conditions be totally different and have another evil to deal with. You are going to have to be really smart about what your vehicle reacts to and trying to predict what the track is going to do. Neff: We’ve heard a lot about post-race height rules over the last couple of weeks. When you are racing at a track like Eldora that is going to probably end up being rougher than most asphalt tracks we go to and abuse the suspension more than we’re used to, how concerned do you have to be that your truck will meet the post race height inspection? Randolph: I don’t think we’re as concerned about it there because most of that post race inspection that guys are pushing the limits on has to do with aerodynamics and trying to take advantage of certain situations. At a dirt track I don’t think those aerodynamic advantages will be there as much. I don’t really see that as an issue. The roughness of the race track is going to put a toll on your suspension but, even more than that, the way you make the pass at Eldora is you dive to the bottom and slide up in front of the guy, hit the wall and hope you maintain that spot. Even last year, hitting the wall and bending the suspension components on the right side was probably where the problem came from. If you are going to have a height issue after the race it is probably going to be because you pulled a slide job and bounced it off of the wall, bending a right front lower A-frame. That’s what going to cause you to be low more than what the guys have been doing pushing the limits on the aero side of things, I don’t really think you’ll see that at Eldora. Previous Mirror Driving: Dominance, Age Limits, and This Is Only a Test?